Asbestos Abatement | Call ECOS On 888-375-3267 To Hire The Best Asbestos Abatement Company In Your Local Community. ECOS Is Regularly Hired By Commercial & Residential Clients To Do Asbestos Abatement Projects. We Can Provide You With References Upon Request. Below, We Provide A Questionnaire To Help Select A Contractor For Your Project (see below for the details). 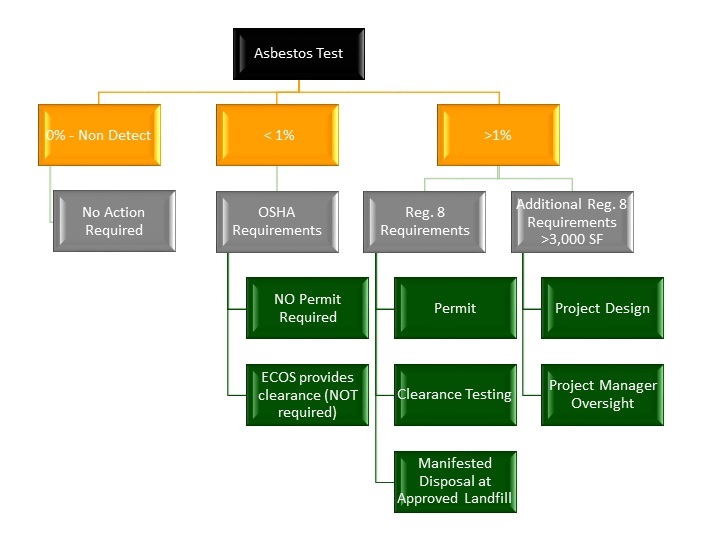 The following Asbestos Abatement Flow Chart Highlights The 3 Phases Of A Successful Project. The first phase is conducting an asbestos test to see if the materials contain ACM. The results of this first phase will determine whether or not you need ECOS to do an abatement. If the test results come back non-detect, then there will NOT be a need to do an abatement. If the test results come back above zero but less than 1%, then there will be a need to do an OSHA abatement which requires no Colorado permit. If the test results come back above 1%, then there will be a need to do a Reg 8 abatement which requires a permit from the Colorado Department of Public Heath & Environment. If your home or business contains asbestos, professional asbestos abatement services are necessary to ensure a safe living and working environment. ECOS is a Certified General Abatement Contractor (G.A.C. 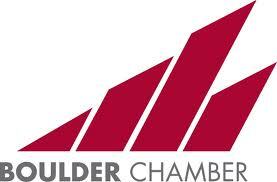 # 14480) and has been for many years in the State of Colorado. Therefore, ECOS provides licensed, safe asbestos removal services, and we’re here to make sure your residential or commercial property provides the healthy conditions you deserve. Our technicians understand that each property requires a customized approach to asbestos abatement service. We will assess your situation and come up with the most efficient way to safely perform the task. Whether you need asbestos removal service in a small house or a large industrial building, you will receive the same quality results. 1. What training do you have in asbestos testing and/or abatement? Where did you get this training? May I have a copy of your certificate(s)? Are you certified by the Colorado Department of Public Health and Environment? Does your company have an outstanding Notice of Violation? 4. How many people do you employ? May I see some evidence of their training and experience in the field of asbestos abatement. 5. What kind of equipment do you have? What kind of personal protective equipment do you use? What precautions will you take to ensure that the occupants and the building are protected from contamination? 6. What methods will you use to do this job? Are these methods in compliance with CDPHE Reg 8?